Full Color Display rotates 360 degrees. "Stay put" clip. High Sensitivity Vibration. Sensor Features frequency range tailored to ukuleles. 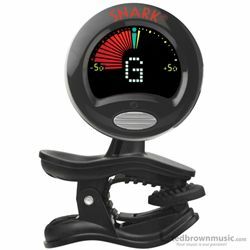 Tuner can be used on front or back of headstock.